Ada pertanyaan untuk Hello Hotel - Gara de Nord? Jika apa yang Anda cari adalah properti yang terletak strategis di Bukares, pilihlah Hello Hotel - Gara de Nord. Dari sini, para tamu dapat menikmati akses mudah ke semua hal yang dimiliki oleh kota yang aktif ini. Yang tidak ketinggalan adalah akses mudah dari properti ini ke sejumlah obyek wisata dan landmark kota ini seperti Piata Matache, Bucharest North Railway Station, Asociatia Casa Arte. Di Hello Hotel - Gara de Nord, pelayanan istimewa dan fasilitasnya yang unggul akan membuat pengalaman menginap Anda tidak terlupakan. Properti ini menyediakan akses ke sejumlah pelayanan, termasuk WiFi gratis di semua kamar, layanan kebersihan harian, layanan taksi, resepsionis 24 jam, fasilitas untuk tamu dengan kebutuhan khusus. Suasana Hello Hotel - Gara de Nord tercermin di setiap kamarnya. televisi layar datar, ruang keluarga terpisah, akses internet - WiFi, akses internet WiFi (gratis), kamar bebas asap rokok adalah beberapa contoh fasilitas yang dapat Anda nikmati. Properti memiliki berbagai pilihan fasilitas rekreasi yang memungkinkan Anda melakukan bermacam hal selama menginap. Hello Hotel - Gara de Nord adalah tempat menginap ideal bagi para wisatawan yang mencari pesona dan kenyamanan dari kota Bukares. Walk in 3mins from Gara de nord. Metro station is quite near. Cleanliness is enough great. Not very expensive. Only one thing to say hopefully I'd like to have slipperes there. 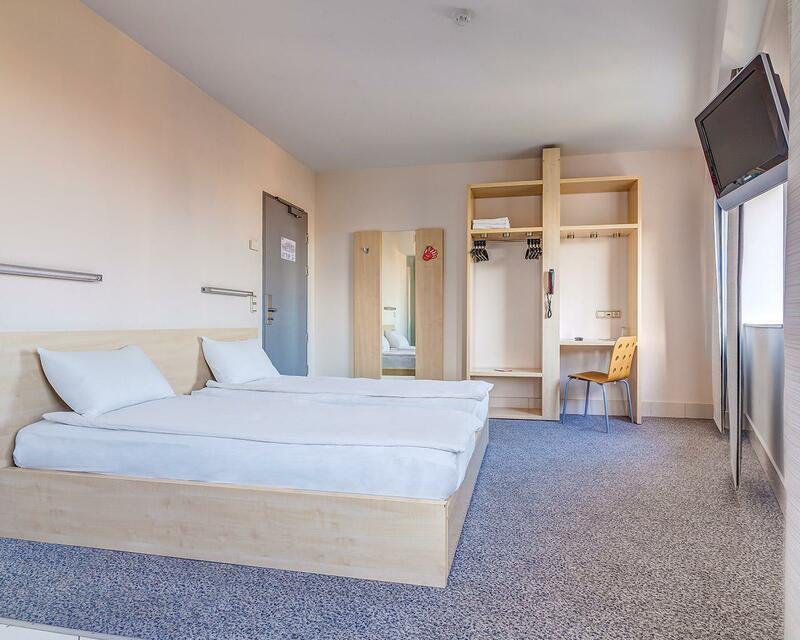 This hotel is just a five minute walk from the main railway station. It is very clean and the room was small, but comfortable. The staff was very helpful: I was dealing with a dishonest taxi driver and the young woman at the front desk suggested we call the police. This resulted in the disappearance of the taxi driver. When I returned to Bucharest a few days later, the young man at the front desk allowed me to store my backpack while I walked around the city to take photos (even though I was no longer a guest), and then helped me find a taxi, this time with an honest driver (beware of the scam at the airport!). I highly recommend this hotel. 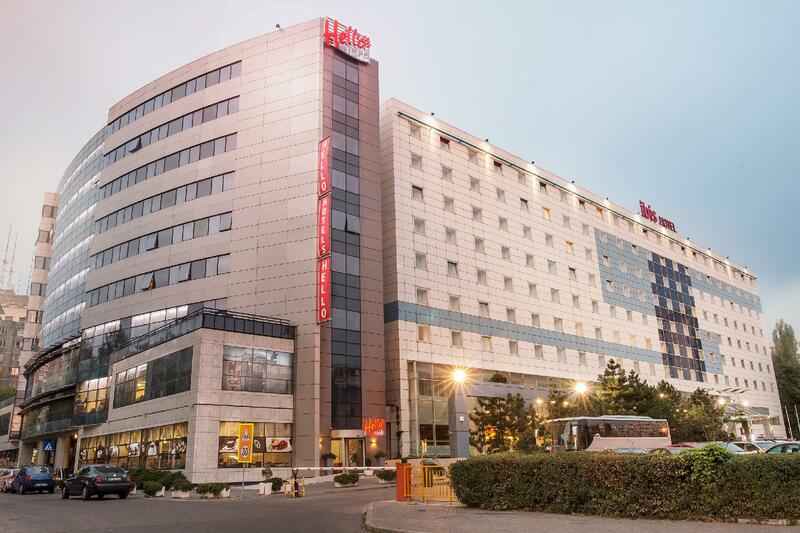 GOOD HOTEL NEAR GARA DE NORD IN BUCHAREST. SOME ROOMS WERE HAVING PROBLEM WITH THE SHOWER (LEAKING ON THE FLOOR). LOCATION WAS EXCELLENT. STAFF WERE VERY HELPFUL.. The room was excellent value. We stayed just one night but had everything we needed from the room. The area isnt great but it was close to the Gare du Nord , so thats why we picked it. Easy to get around on the metro system. Our stay was quite pleasant. The hotel was perfectly positioned beside both the main train station and the metro. It was also pretty cheap compared to others and the room we stayed in was nice and clean. Interesting, modern design for the room itself. The staff were friendly and helpful. The disadvantages are: no fridge and safe in the room, the hallway smelled a bit and since it is near the train station, some homeless persons roam the street. I'm a big fan of this hotel and have stayed here several times. 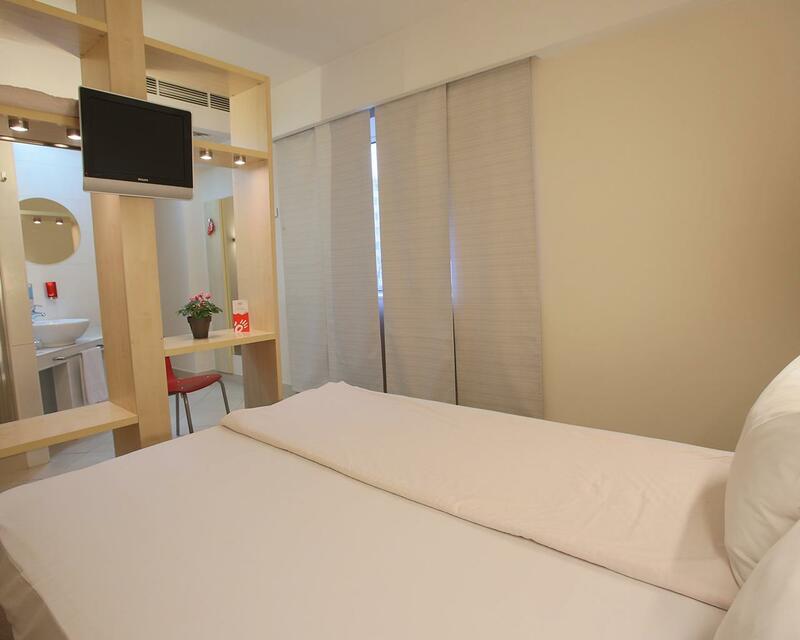 The rooms are comfortable and not as small as you would think from a hotel in this price range. The staff are usually friendly, the location is right near the train station and metro station and about a twenty minute walk to the old city center. For the price, it's one of the best values in the city in my opinion. I would've given this hotel a higher rating based on its great location and how quiet it is considering how close the rooms are together, but the unfriendly staff and the fact I stayed there for 5 nights with no new sheets or towels, no toilet or shower cleaning, and no soap refills drag that score down a bit. We enjoyed our stay. Hotel is close to train station, they are signs and a map at train station exit, easy to find, right next to Ibis hotel. There are beggars at night in the area but that's the neighbourhood, just ignore them, they're not violent. At day time is ok. Hotel is modern, clean, polite and efficient staff. Room is nice, very well structured. Comfortable bed. Tv has only few channels. Shower room and toiled are separate. They are cubicles, glass doors, not full height doors so you must be comfortable with that when traveling with someone. ;) Overall I would stay there again and I do recommend it. Overall, very pleased. Conveniently located by Metro Station but not far from town if you like walking. Room functional and not much character (no extras like kettle or fridge) but clean and good VFM. 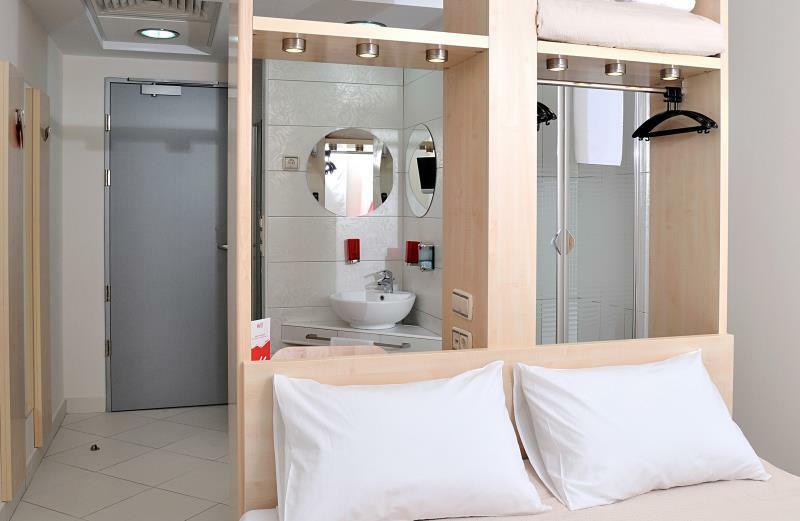 ,kind reception staff, reasonable price,if I visit Bucarest later, I will stay here again. Excellent location next to Ibis and Gara de Nord train station, good bed to sleep, we borrowed a hairdryer from the reception, nice to find 2 glass cups in the room, but the bathroom design is awkward - the shower is not located inside the toilet, but opens directly to the bedroom without any space to hang clothes or put on clothes, so it is rather embarrassing to step out of the shower - you're in the bedroom! Customer sevice was really bad. I mean, they were rude and did not care about the questions we've asked. Price of the room was okay, as well as how clean it was, but some might find pretty uncomfortable the fact that the doors to the shower and the toilet are transparent. I intended to reserve this hotel just two days before 09/25/15, but, accidentally the confirmation email turned out to be 10/25/15. So, I instantly sent an email and called the hotel from Chisinau, Moldova. The receptionist told me that they could make an arrangement and responded within 3 hours. But, I didn't get anything until next morning. So, I called the hotel, they said they'd make another type of room available for about $10 extra. I agreed and they agreed to send me a confirmation email very soon. Again, nothing happened. I called the hotel again, after a long wait, they finally told me that no room was available. After the call, I checked the booking website, some rooms were still available to book as that's low season. Then I realized they are simply greedy liars since they knew I won't be back on 10/25/15 any way. I've to reserve another "Sir" hotel in Bucharest at the last minute. Unbelievable and anyway, this was the worst hotel customer service nightmare in my whole life travel experience! Very basic tiny room.Mini toilet comparable to an airplane toilet. Room gets flooded when taking a shower. Wash basin inside the room and not in toilet. Dingy corridors. Superb location, clean and good internet speed. Decent number of english channels on TV. Check in and check out quick.24 hour reception and access to public transport. English speaking staff.